Mildreds Soho spills out of an 18th century town house in Lexington Street. The atmosphere is lively, informal and often crowded at peak times But you may enjoy a cocktail at the bar when there is a queue. Our lunchtime take away bar, from Monday to Friday, offers fresh salads, soup, quiche and daily specials. 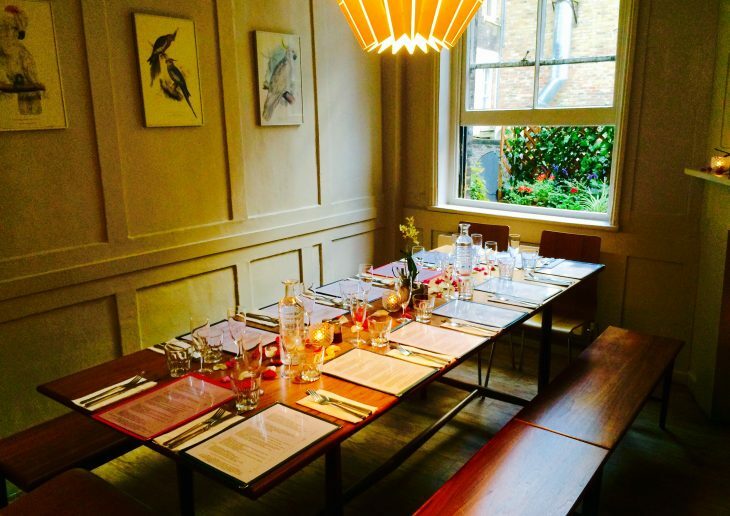 Although we have a no bookings policy and operate on a first come first serve basis you may reserve our private dining room for 10 – 14 guests. Please call 0207 494 1634 or email soho@mildreds.co.uk to enquire.